The IPSASB develops accounting standards and guidance for use by public sector entities. The structures and processes that support the operations of the IPSASB are facilitated by IFAC. 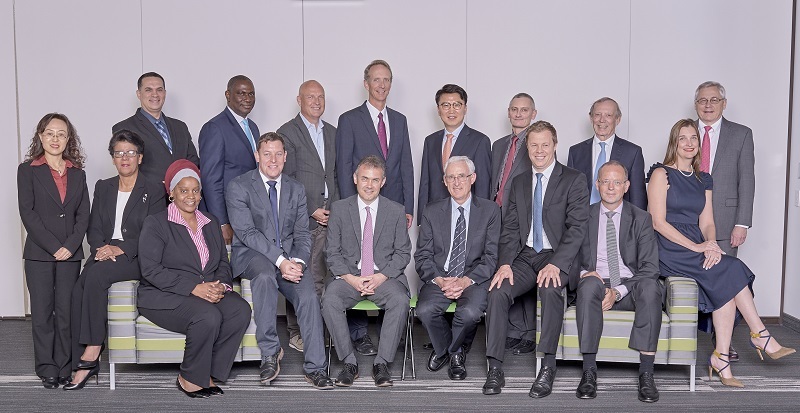 The IPSASB receives support from the Asian Development Bank, the Chartered Professional Accountants of Canada, the New Zealand External Reporting Board, and the governments of Canada and New Zealand. Raising awareness of the IPSASs and the benefits of their adoption. The IPSASB follows a very structured and public due process in the development of all IPSASs. This process provides the opportunity for all those interested in financial reporting in the public sector, including those preparers and users directly affected by the IPSASs, to make their views known to the IPSASB, and ensure that their views are considered in the standard-setting development process. Exposure Drafts (ED) of all proposed IPSASs are developed, usually with the input of a task force or project advisory panel, and are available for download from the website. Exposure drafts are sometimes preceded by a Consultation Paper that explores the subject in detail and provides the basis for further discussion, development, and policy formation. All Exposure Drafts have open and finite comment periods. Comments received as a result of the exposure draft process are considered by IPSASB members, and are publicly available on the IPSASB website. If changes to the ED are made after analysis and discussion of the responses, the IPSASB considers re-exposing the document for further review and comment. Approval of exposure drafts, re-exposure drafts, and IPSASs are made by the affirmative vote of at least two-thirds of the IPSASB members. Since 1997, the IPSASB has developed and issued a suite of 38 accrual standards (four of which have been, or are in the process of being, withdrawn), three recommended practice guidelines, which provide guidance on the broader areas of financial reporting outside the financial statements, and a cash basis standard for countries moving toward full accrual accounting. In October 2014 the IPSASB issued the first global conceptual framework for public sector entities. This underpins IPSASB’s standard-setting and guidance development activities. Governments that report on a cash basis do not account for significant liabilities, such as employee pensions and loans and assets such as property, plant and equipment and investments The IPSASB encourages public sector entities to adopt the accrual basis of accounting—which will improve financial management and increase transparency resulting in a more comprehensive and accurate view of a government’s financial position. Many governments, jurisdictions, and international institutions have already adopted IPSASs—many more are on the road to convergence. The procedures and processes for formulation of the IPSASB’s strategy and work plan; and development of IPSASs. It currently is comprised of individuals from the International Monetary Fund, International Organisation of Supreme Audit Institutions, Organisation for Economic Co-operation and Development, and the World Bank Group. The minutes of the PIC meetings and dates of upcoming meetings are available to the public.